China, Can You Hear Me? It’s been awhile since I’ve posted a real book review, mostly because Reading Like Crazy didn’t work out so great, especially considering that I had to Write Like Crazy to get through the rest of the semester. I have been reading though, mostly for research instead of pleasure. 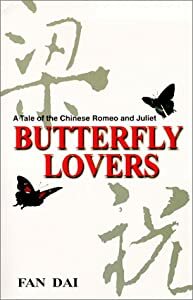 Today, I managed to finish reading an English translation of the Chinese folktale Liang Zhu, known in English as Butterfly Lovers and written by Fan Dai. Before I get into talking about the book itself, there is the issue of authorship. In the preface, Dai notes that Liang Zhu is a 1500-year-old folktale. So technically, it’s not her creation, but she did credit herself as author. Of course, “Anonymous” generally doesn’t bode well for book sales and library card catalogs, and Dai did translate it, I’m assuming. In general, like other public domain works, the statute of limitations is long gone. Again, Dai is listed as the author on the cover of the book, but acknowledges that it is a folktale. Nonetheless, I will be putting the author on the back-burner for this review, so consider yourself lucky, Dai. 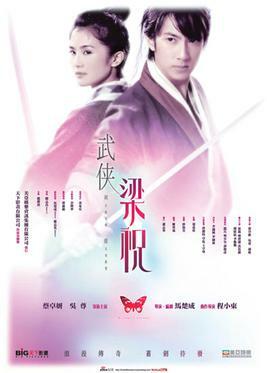 Butterfly Lovers opens in the Jin Dynasty (906-960) in Zhejiang Province, China. Zhu Yingtai is a teenage girl with a thirst for education that is unquenchable by what is at her disposal; like in many cultures, women were not allowed to study in schools past a certain age, so education stopped at a certain point, leaving girls to wait for marriage and children to consume their time. Yingtai, the ninth child and only girl of the Zhu family, implores to go to study at a secondary institution in Hangzhou, proposing that she dress herself as a boy. After much drama and a prophecy, her family consents, with three conditions: one, that she remain disguised as a boy at all times; two, that she return home immediately when summoned; and three, that she must submit to a medical examination upon her arrival to prove her virginity. She agrees to these terms, and, suited up like a boy with her gal pal Yinxin in tow, sets off for Hangzhou. On the way there, she meets Liang Shanbo and his servant Sijiu, who are coincidentally heading to Hangzhou to apply to the same school. They quickly become very close friends, and upon getting admitted into the school, opt to become roommates, with their servants rooming together next door. Why they didn’t just stick to rooming with their servants, especially for Yingtai and Yinxin who could use the additional privacy, is beyond me, but it builds character for both Shanbo and Yingtai, and heightens the stakes, so there you go. Over the years, the two grow ever closer, becoming blood brothers. Yingtai spills the beans to Mrs. Zhou, the wise wife of the school’s headmaster, who knew all along, and things get tricky when Yingtai falls ill and Shanbo insists on nursing her back to health almost by force, sleeping by her side until she feels better. It’s a beautiful gesture, but spells trouble for Yingtai in terms of temptation and the discovery of her secret, so she puts water bowls between them to keep them apart, and refuses Shanbo’s help when using the bathroom, for obvious reasons. Yingtai receives word that her mother is ill, and as a dutiful daughter, announces that she is leaving the school and returning home. Both Yingtai and Shanbo are heartbroken. After Yingtai proposes that they stay together until death, Shanbo starts to get weirded out a bit, but then Yingtai mentions her identical twin sister, who she’s completely neglected to mention all this time, and that Shanbo should go and ask for this sister’s hand in marriage, who will turn out to be you-know-who. She doesn’t plan on keeping this a secret until he gets to her; rather, she gives a piece of jewelry shaped like a butterfly to Mrs. Zhou, and its identical piece to Shanbo, telling him to see Mrs. Zhou the next day, who gives him the other butterfly and tells him the truth. Ecstatic about this news, he heads out, presumably to Yingtai’s home to propose marriage to her. At the Zhu home, Yingtai arrives to find her mother alive and well but her father waiting with the news that a local, wealthy man named Wencai Ma has asked for Yingtai’s hand in marriage, and he has accepted on his daughter’s behalf. Distressed, Yingtai tells them about Shanbo, even though it’s too late. Even though Yingtai followed all the instructions (well, the virginity thing remains a mystery when Yingtai’s father says that he was bluffing about the medical exam, and that he’ll just take her word for it), she still gets the short end of the stick despite what her parents think is best for her. Meanwhile, Shanbo shows up not at Yingtai’s home but at his own home, where he tells his parents about Yingtai, and they’re all like, “why the heck did you come here and tell us, go get her before someone else does!” He does so, and shows up at the Zhu home soon after. It turns out to be his lucky day, as Yingtai’s father is away and Yingtai’s mother is enough of a believer in true love that she not only allows them to meet, but have alone time together (a big no-no). Shanbo sees Yingtai as a woman for the first time and falls in love all over again. He proposes marriage, but when Yingtai drops the bomb that he’s too late and she’s been promised away, he gets so sick that he has to go home. You should’ve just followed her, dammit. Yeah, because that always looks perfect on the first try. Anyway, more stuff happens, Shanbo becomes sicker, Yingtai sends medicine. Shanbo recovers a little and goes to Wencai Ma to ask for him to change his mind about Yingtai, but is humiliated and emasculated so badly that he gets sick again, and this time he dies. When Yingtai learns of this, she’s angry and upset, and still engaged to be married. She threatens to kill herself rather than marry Wencai Ma, but relents when her parents allow a detour on the way to the Ma village, stopping at Shanbo’s grave in Huqiao County. Arriving at the grave, Yingtai makes a death wish, to be united with Shanbo for eternity. Some crazy mystical stuff happens, and she falls into the grave, which conveniently sprouts a second headstone with her name on it. Now joined together forever, two butterflies – one blue and one pink – emerge from the gravesite, flying together, free. In the epilogue, Yinxin and Sijiu, their servants (remember them?!) return to the grave with a new, joint headstone. They kind of luck out, because not only are they alive, but now that their masters are out of the way, they’re out of jobs, so they marry each other, with Yingtai and Shanbo’s blessing from beyond the grave as the butterflies perch on them. I’m starting to think that maybe this was just an elaborate scheme by those two; you can never trust those sneaky servants. Oh, Mandy, will you kiss me and instead of this shaking? 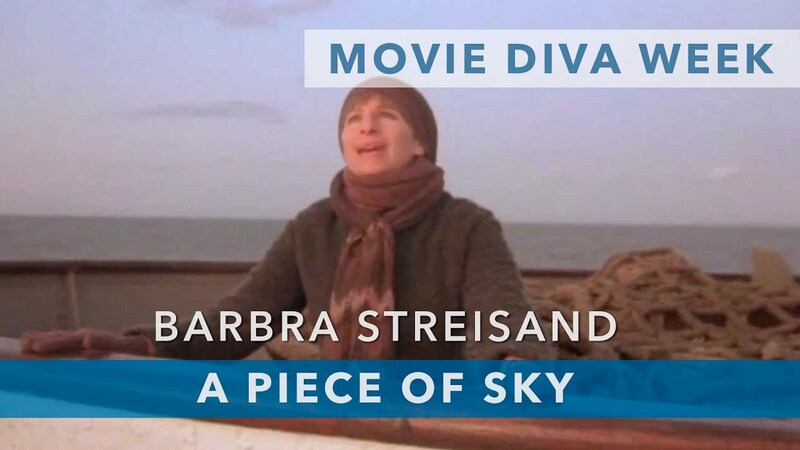 Though it’s billed as the Chinese Romeo & Juliet, it’s more like Yentl with a bizarre Chinese twist, only instead of Barbra Streisand belting her heart out on a boat in the New York Harbor, she ends up six feet under. Elements of both stories appear in Butterfly Lovers, but I would not say that it’s close enough to one of the two to outrank the other. Still, overall, it’s a wonderful folk tale with a lot of realistic and valuable information, at least more so than those other two stories. It promotes girls getting education, which is a good thing; no Disney princesses here. The characters are also pretty real, with sitcom-level situations rather than total fantasy, at least up until the very end when Yingtai gets sucked into the earth, but I could see that as a dream sequence, plus it’s a cool visual. It doesn’t sidestep the issues, and the language that Dai utilizes is straightforward enough that a middle-schooler could understand it, and frankly, it has a lot more mileage than R&J. So middle school and high school teachers, if you’re reading this, check out Butterfly Lovers for your next summer reading list. Also, I’m sure that there are some really awesome movie versions out there, so here are a few posters of said productions.